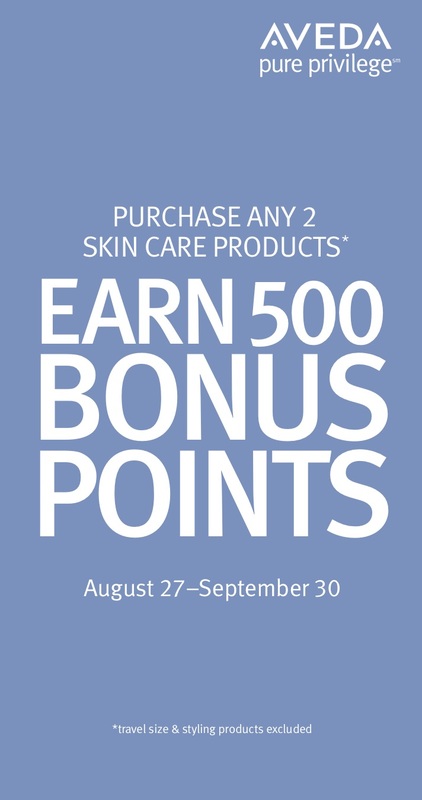 Earn 500 Bonus Points with the purchase of any two Aveda skin care products at Ladies & Gentlemen Salon and Spa. Offer valid from August 27-September 30. Posted on August 27, 2018 by Julie Hill and filed under Salon Promotion.